Extraordinary home in Mountain View Country Club on an oversized interior lot. Desert outdoor/indoor living at its best. Relax in the front courtyard under the pergola or dine, swim, relax & enjoy the expansive back yard with sparkling pool/spa and covered/uncovered patio. Upgraded Belize Home 3BD/3.5BA including guest casita. Full gourmet kitchen with prep island & pantry. Family room with lots of space for relaxing, enjoying and entertaining. Bi Fold Door added in great room for outdoor/indoor living. Expansive master retreat with french doors opening to the back patio. Master bathroom with soaking tub, large shower and spacious walk in master closet. Second bedroom suite with full bath and separate casita bedroom & bath with entrance off the front courtyard. This home has been upgraded throughout including interior/exterior paint & stacked stone in the family room & master bedroom. Mountain View residents enjoy tennis,pickle ball, golf, dining, fitness & Olympic size pool. Must See! 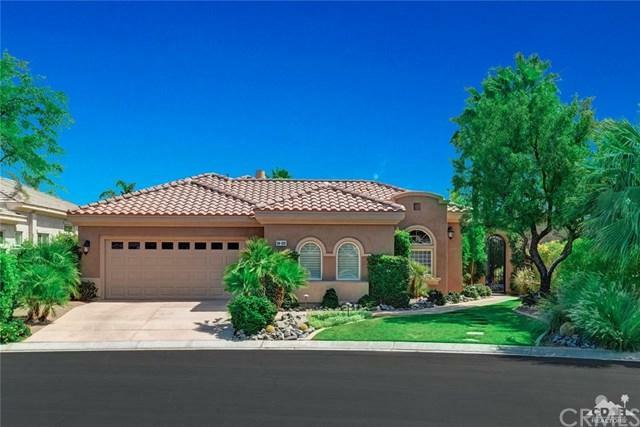 Sold by Kelly Schufelt of Desert Sands Realty.